DESCRIPTION & INGREDIENTS: Corn, Roasted Peanuts, Rendered Beef Suet, Oats, Soy Oil, Mealworms. 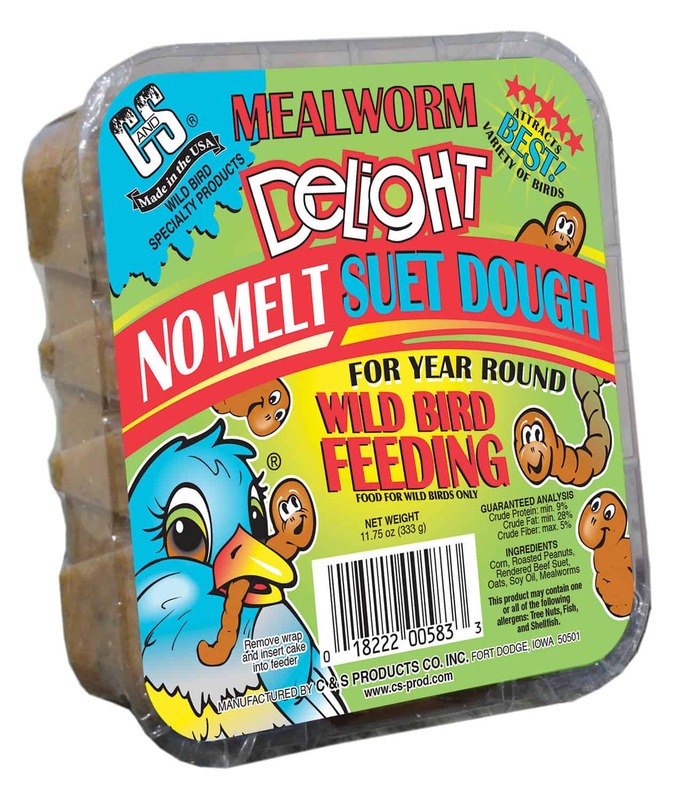 C&S Mealworm Delight offers our proven Peanut Delight formulation with the addition of dehydrated meal worms that the birds enjoy. 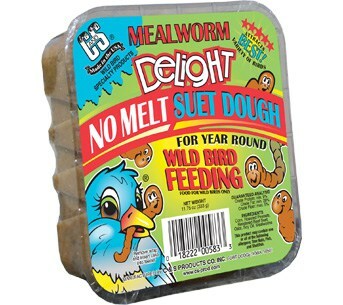 This easy to use bird feeding alternative will attract the same birds as if you were feeding live meal worms. Great Wild Bird food acceptance all year long. Allergen Statement: This product may contain one or all of the following allergens: Tree Nuts, Soy, Fish, and Shellfish.